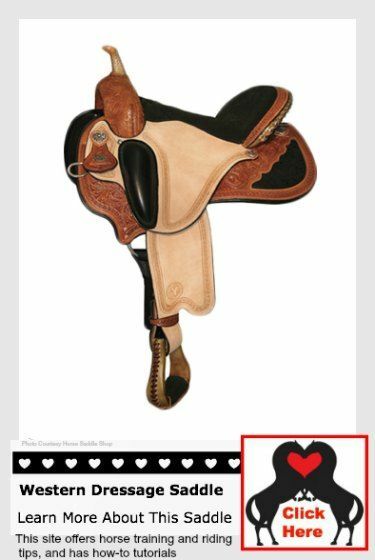 This new western dressage saddle is designed for competition in this new and upcoming discipline. Traditionally, this is an english sport, but is now gaining popularity in the western world. This beautiful specialized dressage saddle offers a revolutionary design by an "L" certified dressage judge. The designer boasts that you "cannot sit incorrectly" in it. It also offers special stirrups that reduce ankle and knee fatigue.